Phoenix, Ariz. – Cushman & Wakefield completed the sale of University Villa at Ironwood, located at 2550 W. Ironwood Hill Drive in Tucson, Ariz. March Investment, LLC, an entity formed by Phoenix-based Clear Sky Capital, purchased the property from SFC Sterling Tucson Investors, LLC (an entity formed by Stonesfair Financial Corp. of Burlingame, Calif.) and Geary Tucson, LLC, for $17.45 million. Executive Managing Directors David Fogler and Steven Nicoluzakis of Cushman & Wakefield represented the seller. 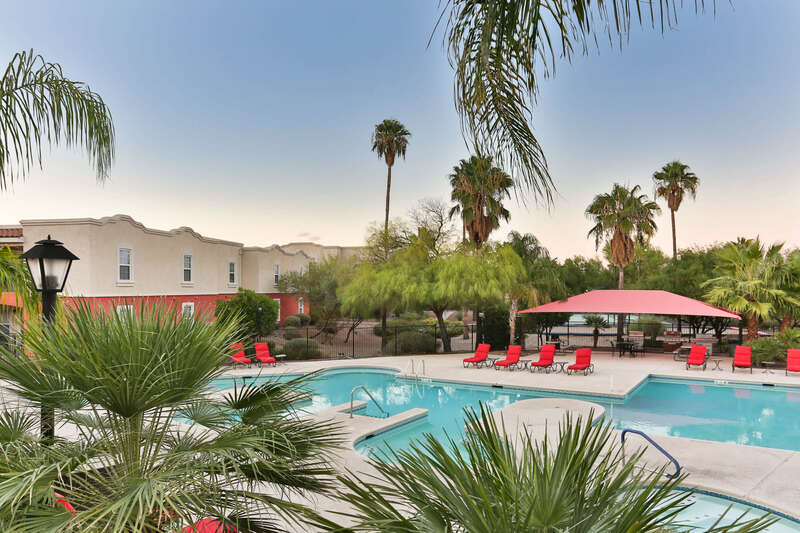 University Villa at Ironwood is a 140-unit/484-bed, Class A student housing community located just west of the University of Arizona campus. The property offers two-, three- and four-bedroom floor plan options with an average unit size of over 1,287 square feet. Built in 2001, University of Villa at Ironwood unit interiors include washer/dryer and private patios/balconies. The property’s amenities include a computer lab and study lounge, fitness center, theater room, basketball court and sand volleyball court. “The buyer was attracted to the property because of the exciting growth occurring at the University of Arizona and by the opportunity to add value to the property through a series of planned capital improvements,” said Fogler. According to Cushman & Wakefield | PICOR research, during the first quarter of 2018 numerous investors have entered the local apartment market from primary and secondary markets to invest in Tucson. Investors are bullish on bringing capital to Tucson due to higher cap rates and favorable debt placement leading to greater cash on cash returns. Investors are also bullish on the steady inflow of new business and subsequent positive job growth. Expect continued tailwinds in the second quarter as investor interest remains robust.